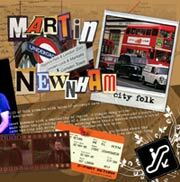 Martin Newnham is a singer/songwriter from the Isle of Wight currently residing in the not so picturesque Hanwell West London. Before embarking on a solo career Martin spent several years writing, recording and performing as front man of London based band 'The Goondocks'. Martin, a multi-instrumentalist with a highly emotive and expressive voice, began pursuing a solo career recording 'Going Home' in 2004. Performing regularly in venues such as The Ginglik, and Clapham Grand, Martin has shared the bill with Nerina Pallot, Newton Faulkner and Seth Lakeman as well as appearing at The Larmer Tree, Bestival and Isle of Wight festivals. Martin is currently in the process of recording with the legendary Dan Swift. The songs are close to completion and we will keep you up to date with release dates. Martin Newnham - guitar and lead vocals. From the Isle of Wight. Studied at The Guitar Institute in London. Now lives in London where he gigs and teaches guitar. 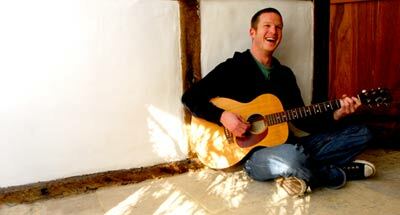 Andy Parkin - fiddle, keyboards and vocals. From the Isle of Wight. Studied at the London College of Music. Teaches violin. Plays sax and sings backing vocals on albums for his brother's band The Bees. Vesa Haapanen - drums. From Finland. Studied at The Guitar Institute. Now fluent in English and teaches at schools around the capital. Plays with underground jazz dance outfit called Pest.